A decent novel. Of course the start about 100 chapters or so is a little cringy with the MC being labelled "trash" and how he has to fight back. But as the story progresses you find the plot progressing and turning into a good read. Keeps you occupied and entertained. Honestly its amazing series, yes the main character is ruthless but his enemies are even worse. They try to provoke him for the stupidest reasons so they deserve getting rekt. Around ch 400 it gets alot more interesting as the main character becomes op af and starts to battle people as op as him in a tournament. 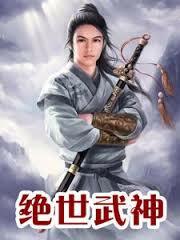 As usual the Chinese authors seem to disagreed character development or emotion besides pointless fighting. Though this novel has something that makes it truly flair even with it's poor delivery, which is that it has an purpose. The main character wishes to change how people think "week devour the strong" which is a great idea if the author hadn't forgot about along the way. Review as of latest chapter. The story so far from the beginning was somewhat interesting but as it goes on. Things got repetitive. The story mostly focused on the MC, and disregards other characters. I was kinda disappointed because the little romance between the MC and the girl he found on the temple was becoming more and more interested. But sadly, so many things have been pushed into the story that you can't count how many plotholes are there. As always, a weak to strong xanxia plot, but well written. The romance scenes are kinda odd, for I do not know if the MC will end up with the two girls highlighted so far, or not. Well idk where does so much hate comes from this many people, I guess a idiom would suit them better ”a frog in a well”. So far I have liked it, as for MC being too strong. What about the MC in ATG, that can go against one whole stage not just against 2 or 3 lvls of a stage. People got different opinions, ”bird brain”. But 1 thing I didn't liked would be that, he looks for trouble T_T. He talks too much (I'm not here for a lecture and its not uni for you to lecture), so basically I don't like this thing about MC. He is calm but not quiet. MC is much similar to ISSTH, idk why though, but its my guess. Anyway its a good novel, read it if you like it or don’t read it, no-one is forcing you (audience[s]) to read. So don’t attempt to copy others saying blah blah blah, just because the novel didn’t met your way of thoughts. Somewhere along the way, the author kind of just lost his sense of the plot direction with senseless battles which have led to the story stagnating. There has been no story progression for the past hundred chapters. It's not like he's even fighting against stronger and stronger opponents. It's just cannon fodder after cannon fodder that keeps appearing with none the wiser. What started off as a promising character background and plot has quickly change to disappointment. There are many critical plot points that are written in that have gone... more>> unresolved where continuing down any of these plot lines would have made for a better story then what this novel has become. It’s typically the most annoying kind of novels. It has really good points such as spirits who are interesting and how the power works. It has good and frequent translation as well as a story that goes in an interesting direction. ... more>> BUT the story is repetitive as hell, MC can’t throw a pebble in a deserted desert on an inhabited planet during nighttime without offending 10 “experts” or sons of rich clans. Then the fights themselves, you’ll have one chapter of chit-chat where the foes act arrogant and everyone thinks MC will die and he’s a trash compare to the almighty foe. Followed by an half chapter fight then another chapter of chatting, the spectators unable to believe he won and the author repeating the same crap than before the fight bragging about the foe strength to emphasize MC fabulous victory. Btw get used to the word trash, you’ll see it in most chapters especially in the beginning, it’s the author go-to word. The frequency of the chapters, some good powerups here and there and the need to pass time made me frustratingly continue hoping it’ll get better but after 280 chapters I’ve finally given up on it. Well PMG is the reincarnation story of a youth named Lin Feng. The beginning of teh story was quite good and it had a lot of potential, but slowly the quality of the story decreased and became quite predictable. So at first this novel is so promising, typical weak to strong MC. But lately the formula is repeated too many times, woah the thugs so strong, MC must be die then, fighting scene, the crowds being awed by MC power, the thugs dies (or the enemies is too strong! MC's strong friend lend their hand), happy ending. I am unable to understand why there are so many fives for this novel. If this novel is a five then I don't want to know what novel is a four because it would probably be written by a retard. Seriously, this novel is the simplest I have ever read. There are almost no description for anything. It's so boring and the MC has some big ego problem now. The story is kind of like "write as you get there" with no preplanning or anything on the author side. People... more>> in this novel have the capacity of 8 years old bully and the MC is a 9 years old kid who used to get bully but now turn around and bully others while talking about how he is only giving back what is due. Fighting is amazingly simple with no description of what is happening only people dying with one or two moves and characters standing around sprouting some nonsense about how the MC is courting death, insulting each other, being sensitive and getting angry at everything, while author describes how awesome, noble, handsome, courteous, righteous, intelligent the MC is without explaining why. -All over the place, the story moves fast in all the wrong directions. There are too many storylines that jump all over the place and it becomes a little unbelievable. -MC isn’t necessarily likeable. The MC is arrogant who almost seems like he is waiting for plot armor and people that back him to allow him to be arrogant. He makes no effort to be rewarded that plot armor and hasn’t spent time building up the support to allow... more>> him to arrogant. He is given these things without much thought. -Likewise, he is given romances without actually working for it. There really isn’t too much of a buildup in these different relationships that he has. I actually enjoy harems and this one is one of the few that doesn’t do anything for me. -There is a lot of fighting, but doesn’t go into really the details of the fight so even if you enjoy fighting novels, this only skims the surface of your fetish. I registered just so I can rant about how bad this novel is. It is extremely bad, the writing is bad, MC is a big hypocrite, there is no story, so much repetition, and yeah I’m done with this novel. The only good thing is the translator. I wish she would find a better story to translate. Like someone said... the MC is dumb and other people besides MC are even dumber. I hate how hypocrite the MC is.. he keep giving long naration of insults to petty villains while he is not much better then them. He keep saying how rightious he is, but he keeps ticking people off left and right with his flawed logic to make his killing justified. He also secretly loves killing people.. cause it makes him feels supperior. I'm going to keep it simple. I used to like it but now the MC is basically a douchebag. Always acting cool and killing anybody that looks at him the wrong way. He is exactly like the people he kills, I don't even know who to root for. There’s a lot of mixed reviews either you love it or you hate it here’s my two cent; the MC is bullied and later turned genius, takes revenge on those that bullied him all the while looking for his roots. That’s basically the premise of the story not much dept in the story however you do get to enjoy the adventure he’s on struggling in society against adversity in both school and home. His allies follow him through thick and thin while he cripple or kills his enemies.